The Social Event of the year is coming up soon! The OMHS Totally Awesome 80's Spring Fling will be held on Friday, May 3, 2019 at The Other Barn in the OM Village Center from 5:30 pm to 11:00 pm. All proceeds from the Spring Fling go right back to Oakland Mills High School. Please buy your tickets from an OMHS Booster Board member or email omhsbooster@gmail.com to request tickets. 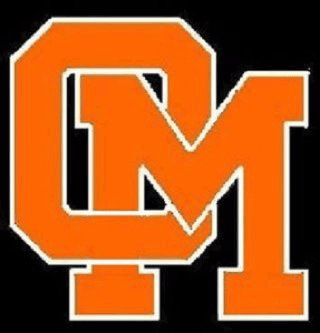 You can also buy them online at www.omhsbooster.org just click on the link called "Spring Fling" at the top of the screen. We will have a great meal catered by Mission BBQ, open bar, raffles, and live music! It is always a fun community event for the parents, teachers, and supporters of OMHS students! The Spring Fling Committee needs Baskets from Parents, Friends, OMHS Teachers/Coaches/Administrators/Supporters for our Silent Auction. We are hoping that many of you will decide to contribute a themed basket for our Silent Auction this year! Any theme is acceptable! It can be directly related to OMHS or even a Spring or Summer themed Basket. We will gladly accept anything you can do for us! Again, all proceeds from the Silent Auction go right back to OMHS! You can also donate any other items, including crafts, jewelry, gift certificates, or any other kind of item. If you are able to donate a Basket or any other item for our Silent Auction, please email us at omhsbooster@gmail.com.